Gok's recipes draw influence from the East, as he teaches us how to add flavour and a splash of originality through his distinctive style of simple, fast cooking. Chapters cover all occasions from lunch ideas to dinner parties and date nights and include curries, stir-fries, noodles, salads, soups and even desserts. He shares many of his family's traditional recipes too, but gives them a modern twist for today's kitchen tables - try Sweet miso marinated chicken and pak choy, Sweet potato and Brazil nut curry and Poppa Wan's fu yung. And, running throughout, are Gok's words of advice on wok cooking, his favourite ingredients and tips on preparation and entertaining Gok-style. For Gok, great eating should be hassle-free, and these recipes are exactly that - tasty dishes that are low stress, good for you and make minimal mess. Now a regular on our television, Gok first hit our screens back in 2006 with his acclaimed series How to Look Good Naked. This was swiftly followed by Gok's Fashion Fix, Gok's Clothes Roadshow, his own documentary on obesity in children, Too Fat Too Young and, most recently, his popular dating show, Baggage. He has written five books, including his bestselling autobiography Through Thick and Thin. 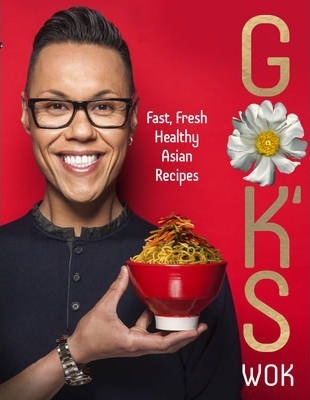 His first cookery book, Gok Cooks Chinese topped the charts and accompanied a Channel 4 series of the same name. In addition, his clothing line for Sainsbury's in 2011 broke all high-street sales records when it launched.